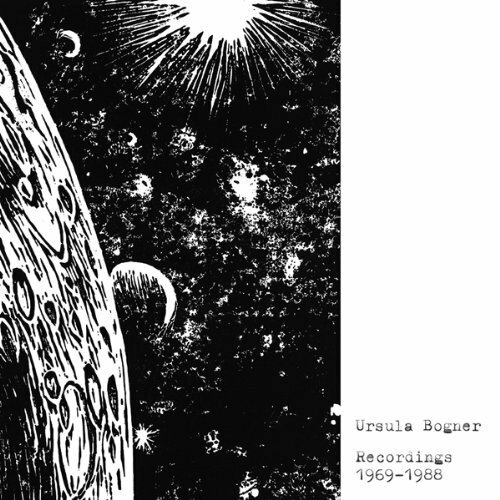 According to German electronic musician Jan Jelinek, the homemade recordings of the late Ursula Bogner might never have been heard outside her immediate family had Jelinek not discovered them through a random encounter with Bogner's son. I say "according to" because rumors that Bogner's story is a hoax-- a cover for music Jelinek made himself-- have already circulated. Some cite the recordings' rather clean fidelity, odd for music purported to be this old and inexpensively produced; others claim to hear Jelenik's minimal style in Bogner's simple compositions. Then there's the fact that Recordings 1969-1988 is the first release on Jelinek's label, Faitiche-- a name the label's own website claims is a French/German hybrid meaning "factish," or "a combination of facts and fetishes [that] makes it obvious that the two have a common element of fabrication." Barring any denials or confirmations from Jelinek, that's probably all we'll ever know. His entertaining liner notes make Bogner's story seem plausible. Born in Germany in 1946, she became a pharmacist, wife, and mother by her early twenties, but still found spare time to study painting, printing, and electronic music. The latter interest led her to record her own synthesizer-based compositions on reel-to-reel tapes in a studio she built herself. Some songs survived intact, while others had to be assembled by Jelinek from individual, unmixed tracks. The truth of this tale is ultimately a minor concern, because as intriguing as the story is, the songs on Recordings 1969-1988 are much more interesting. 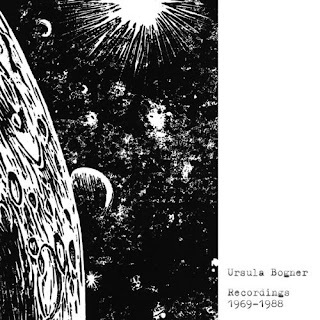 Bogner's work fits squarely in the world of early electronic music-- the period from the late 1950s to the early 70s, when synthesizers were so new that using them to craft melodic songs and create abstract sound were both considered "experimental" pursuits. The king of this era was Raymond Scott, whose whimsical jazz was adopted for cartoon soundtracks, and whose electronic inventions resulted in radio commercials, Jim Henson film scores, and unique curios like Soothing Sounds for Baby, a series intended to help parents pacify their infants. Bogner's music bears much of Scott's playful spirit, finding common ground between nursery-rhyme simplicity and the absurd humor of abstract art. Some of these songs are practically direct Scott rip-offs, but you can also hear echoes of Scott contemporaries and descendants: the radio concoctions of Daphne Oram, the comic pop of Perry and Kingsley, the conceptual art of the Residents, even the post-rock repetition of Black Dice. Most of Recordings 1969-1988 sounds simultaneously like pop and art. Bogner's M.O. is to take a few simple loops-- rumbling bass, water-y plops, chirping squalls, laser-like blasts-- and overlap them, producing songs so sweet they'll make you laugh (the elephant-march opener "Begleitung für Tuba"), so repetitive they'll hypnotize you (the swinging "Inversion"), and so inventive they sound alien (the robotic "2 Ton"). At best, like on the jazzy "Punkte" and the cresting "Expansion", she crafts pulsing, organic melodies that burrow into memory like tree roots gripping the ground. I've often wondered why the music of Raymond Scott, as catchy as it could be, is frequently relegated to the status of odd curiosity or gear-geek niche. The same will certainly happen with Bogner, whoever she "really" was/is. And sure, the songs on Recordings 1969-1988 (as well as the included shot of her with big glasses and floppy bowl cut) have a tech-y, art-nerd sheen. But give these tunes time, and you may find yourself humming them randomly, much the way a 60s housewife might have unwittingly memorized Scott tunes via the background noise of his sneaky radio jingles.